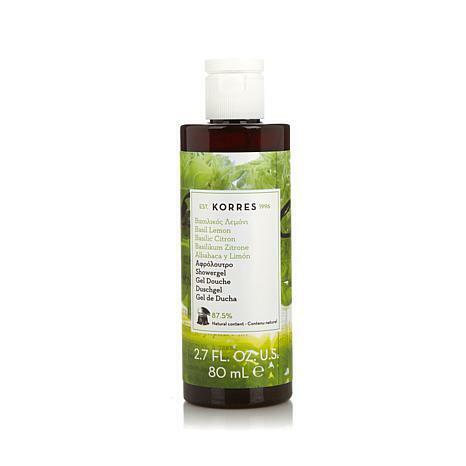 Korres Basil Lemon Shower Gel - 2.7 fl. oz. You're in for a world of pampering. This creamy, foam shower gel cleanses your skin while indulging your senses with a fresh, zesty and clean scent. How sweet it is — who knew cleansing could be so pleasurable? I love having a travel size of my favorite Korres scent (Basil Lemon) and product. It is soft & gentle, and doesn't dry out my skin. Although I like the product this size was truly a joke and the price was Outrageous for such a tiny bottle. Never again . 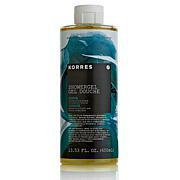 Korres Bergamot Pear Shower Gel - 2.7 fl. oz.